You’ve read about it. Many of you have written about it. Now immerse yourself in it. Welcome to Flint. 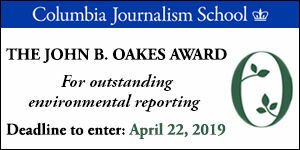 And welcome to the largest annual gathering of environmental journalists on the planet, a conference that will expand your professional network and update you on the full range of environmental news: climate change, energy, food, water, environmental justice and more. 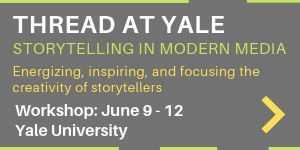 Together, we’ll also envision the future of news, and hone the skills journalists need to thrive. Your visit to the Great Lakes State will fall just a month before the contentious midterm elections. People across Michigan, who played a key role in deciding the 2016 presidential race, are eager to reflect on politics and regulation. It’s been four years since Flint residents found toxic lead in their pipes. The spotlight has faded but the fight for the most basic of human rights — clean water — still resonates in Flint, across the country and around the world. The problem is in the pipes — the story is in the people. for information on sponsorships, exhibits, ads, receptions and conference bag items. Join us on tours meeting with residents who continue to struggle with tainted water, and others leading the rebuild of Flint. Learn about complex infrastructure challenges — that are no doubt bearing down on your community as well. Get a kayak-level view of the Flint River. Witness the urban renewal of Detroit — complete with tree farms, wildlife refuges and an award-winning riverfront — and see the lingering pain in Motor City neighborhoods where the comeback has yet to reach. See the bones of the automotive past, and take a peek at the electric, autonomous future. This is the Third Coast, folks. Our lakes are sentinels for freshwater troubles around the world and come complete with migrating fish, uninhabited islands, surfers, sailors and shipwrecks. Venture just a bit up I-75 and hit the rugged North Country where hunting, logging and blue-ribbon trout streams reign. Flint opened the floodgates for reporting on tainted water and aging infrastructure throughout the U.S. and brought environmental justice back to the forefront of the national conversation — themes that loom large as the current Administration slashes environmental protections. SEJ’s 28th annual conference, hosted by the University of Michigan-Flint, will explore these issues of regulatory rollbacks, water rights and the continued disproportionate environmental burden shouldered by low-income communities and people of color. But we’re going to have some fun doing it. Flint illustrates the gritty Rust Belt revival with a multicultural food scene, jazz clubs, whiskey bars and a world-class farmer’s market. We’ve invited Flint native and award-winning filmmaker Michael Moore, a thought leader on democracy, new media and storytelling. We’ll hear from top auto executives on the future of cars in the place where such decisions are made, and we’ve invited Canadian Prime Minister Justin Trudeau and Minister of Environment & Climate Change Catherine McKenna to give a “neighbor to the North” perspective on the most pressing binational climate and energy issues of today. In a first for SEJ, we’ll have a community-journalist hybrid workshop on Wednesday to get at the root of race, justice, pollution and how we can all learn from the water crisis. Don’t miss it — this one’s sure to fill up. Stick around for the post-conference tour to the untamed Upper Peninsula, eh? See the convergence of two Great Lakes at the Straits of Mackinac as you cross the Mighty Mac Bridge. Dip your toes in frigid Lake Superior and follow trout streams as they meander through dense forests, where our hardwoods are sure to be aflame in their early autumn colors. Visit the busiest lock system in the world in the “Soo.” There are few places in the country as wild and uninhabited as the UP. Come for the solitude and go home with stories. We’re proud of our state, our water, our people — we hope you join us for a conference like no other. "Detroit is the No. 2 city in the world to visit, Lonely Planet says," Detroit Free Press, October 24, 2017, by Frank Witsil. "Detroit, America's most ambitious renovation project," Lonely Planet, August 2017, by Trisha Ping. Part of the world-renowned University of Michigan, the University of Michigan-Flint is a regional comprehensive university located in the heart of Flint. Producing more than 45,000 graduates since 1956, UM-Flint offers a vibrant and diverse learning community consistently recognized for its academic distinction, unique program offerings and superb value. Named one of the “Best in the Midwest” by the Princeton Review for 16 consecutive years, UM-Flint offers more than 120 undergraduate and 30 graduate programs, including its new Bachelor of Science in Green Chemistry — the first multidisciplinary degree program of its kind in the U.S. With a 13:1 faculty-student ratio and flexible, personalized coursework enhanced by hands-on, engaged learning opportunities, UM-Flint students graduate ready to lead and succeed in all situations. 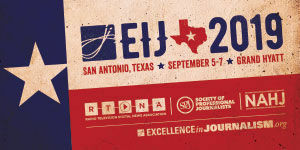 For SEJ members: Send one-two paragraphs per proposal to jletto@sej.org. Include a draft title and speaker ideas if you have them.